In a remarkable turnaround from where the Penguins found themselves after promoting Mike Sullivan from Wilkes-Barre to man the bench, Pittsburgh is going back to the Stanley Cup Finals after they were able to hold on against the Tampa Bay Lightning for a 2-1 Game 7 win. Bryan Rust had both goals for Pittsburgh, and Matt Murray was solid in stopping 16 of Tampa's 17 shots. The game followed a similar pattern to Game 6, during which Pittsburgh dominated the first 40 minutes before hanging on for the last 20. But in the end, it was a great team effort to keep the Bolts from pulling even, and it leaves them 4 wins away from winning the franchise's 4th Stanley Cup Championship. It was a fast paced start to the game that saw both teams pushing the action, but even still it took until over five minutes into the period before the first shot on goal would be recorded. And not long after, the Lightning would get the first power play of the game as Evgeni Malkin was called for interference on Ondrej Palat in the Pittsburgh zone. It was a bit of a weak call to kick off the penalties in Game 7 of the Eastern Conference Finals, as Malkin didn't catch him very hard and Palat went down very easily. However, the refs would even things up moments later when they sent off Brian Boyle for slashing Nick Bonino, and the teams would play 4-on-4. Neither was able to take advantage of the open ice though, and the teams would resume even strength play around the midpoint of the 1st period. And as the period progressed, the Penguins would continue to get more and more aggressive on the forecheck, and they did a good job of disrupting the Tampa Bay breakout and regaining control of the puck. Things would continue to go back and forth, but neither team was able to get the upper hand of the other, and they entered the first intermission still scoreless. That would change quickly in the 2nd period though, as Chris Kunitz found a streaking Bryan Rust entering the Lightning zone, and no Tampa defender picked him up before he ripped a shot over Andrei Vasilevskiy's glove to give the Pens the 1-0 lead. Moments later, Ian Cole and Cedric Paquette would take coincidental roughing minors after Cole elbowed Paquette after the play, and Paquette responded by throwing punches. Sidney Crosby and Phil Kessel would create some great chances for the Penguins playing together on the ensuing 4-on-4, but they wouldn't be able to get the puck past Vasilevskiy to extend their lead. 5-on-5 play would resume, and the Pens would continue driving play as they looked to build upon their lead. But despite the multitude of chances and pressure that Pittsburgh was generating, they weren't able to increase their lead, and it would be Jonathan Drouin ripping a shot top shelf after cutting across the zone to tie the game 1-1. It could've been a back breaking blow for a team that had been thoroughly dominating play with nothing to show for it, but 30 seconds later it would be Rust again poking the puck into the net around the crease for his second of the game to make it 2-1 Penguins. Minutes later, Ryan Callahan would head to the penalty box after high sticking Ben Lovejoy as the Bolts possessed the puck, and it would give the Pens a power play opportunity to further take control of the game. In a bit of a departure from their typical man advantage, Pittsburgh wouldn't have any problems firing the puck on the net, and despite several great chances, including Sheary on the doorstep with Victor Hedman blocking the wide open net, they weren't able to convert, and Callahan would leave the box to even the play up. Not long after Callahan got out of the box, Drouin would go in himself after he held Tom Kuhnhackl's stick as Kuhnhackl attempted to pull away for a breakaway. But before they had a chance to get anything going, Kris Letang was called for tripping Palat in the Pittsburgh zone, and again the teams would play 4-on-4. Hagelin and Bonino nearly teamed up for another goal with the extra ice, but the puck would trickle wide of the Lightning net. Seconds before Drouin was to be released, Hedman two-handed Malkin's stick in the corner, breaking his own and drawing a slashing penalty in the process. Kessel would have a golden opportunity on the ensuing power play, albeit on a very difficult play to make, as an errant shot came to him off the left post with the net wide open, but he wasn't able to settle down the puck and get a shot off. The horn would sound to send the teams back to their locker rooms for the second intermission, and the Lightning would need to perform a task for a second time that no other team was able to accomplish this season - beat the Penguins as they entered the 3rd period with a lead. Like in Game 6, Tampa Bay would begin the 3rd period doing a better job controlling possession than they did in the first 40 minutes. Bonino would hobble off the ice early in the period after blocking a shot, but he would later return. Bryan Rust would nearly get the hat trick after Letang gave him a nifty pass to spring him for the breakaway, but he lifted the puck over the crossbar, and though he would get a couple more good chances on that possession Vasilevskiy was able to shut the door. It would continue to be a busy period in the Pittsburgh zone, but the Penguins would receive a gift midway through the period: Kucherov wristed a puck over the glass from the left boards in the Tampa zone, giving the refs a penalty that they had no choice but to call and a power play for the Pens. They wouldn't get the insurance marker, and Brian Boyle nearly tied the game up as he pulled past Letang to drive the net, but Matt Murray did a great job sticking his right pad out to knock the puck away. The game would continue to tilt towards the Pittsburgh zone deep into the 3rd period, with the Penguins looking to chip the puck out at any chance and the Lightning pressing to get a second goal on the boards. The Lightning would pull Vasilevskiy with roughly a minute and a half left in regulation, and that's when things would get interesting. The Pens would appear to be in a position for an odd man rush to materialize, but Bonino would inexplicably shoot for the net shortly after crossing the Pittsburgh blue line, and the play would come back to the Penguin zone after the icing. Then, with seconds left, Hagelin appeared to ice the game with an empty net goal. However, it was ruled after the play that the puck hit Lovejoy on the bench, and the goal would come off the board. 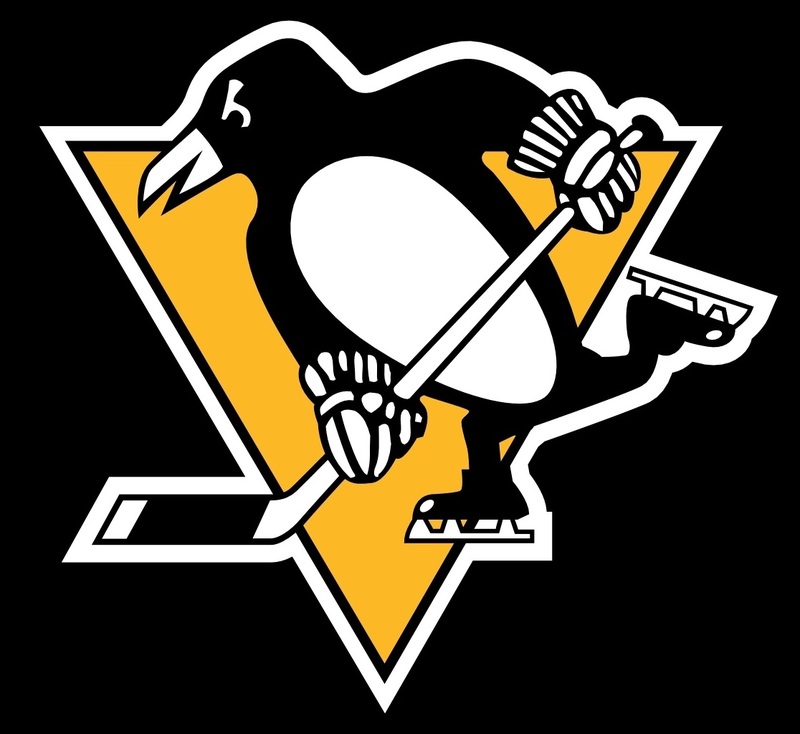 Regardless, the Pens were able to win the faceoff and tie up the puck along the boards to seal the Eastern Conference Championship.